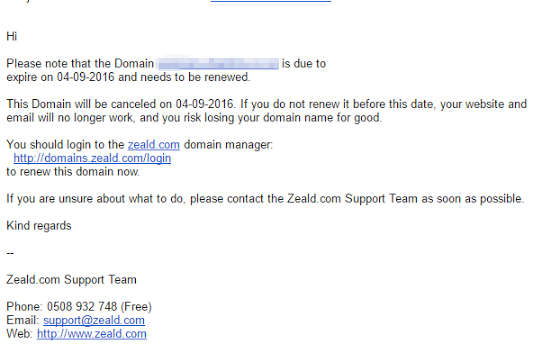 If you have registered your domain name in the Zeald Domain & Email Manager, you will receive an email notification one to two months prior your domain’s expiry. 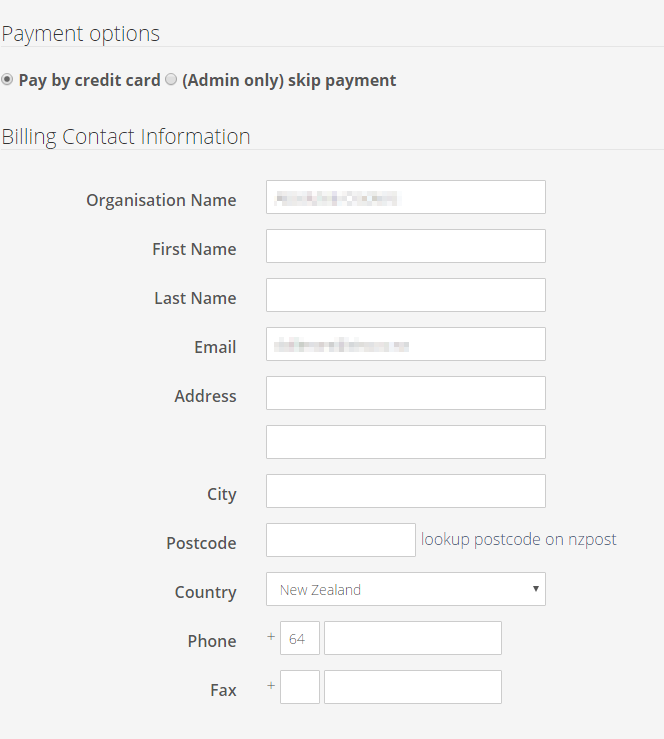 Once a domain expires, it remains in redemption grace period for only 90 days (for both .nz and .com). Once the 90 days redemption period ends, the domain will be released back to the pool of domains available for registration. 1. Login to your Domain & Email Manager account, then click Renew. 2. Fill in the required fields. 3. Tick the I have read and accept the Terms and Conditions box, then enter your credit card details. 4. 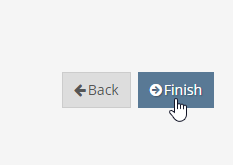 Once done, click Finish. You will receive an invoice of your renewal on your email address.